The Celestron Astromaster 114 EQ Reflector Telescope is the ideal choice if you’re an astronomy enthusiast who has just begun gazing at the stars. 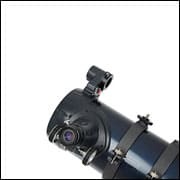 If you don’t want to break the bank investing in an expensive telescope, there are plenty of affordable choices for beginners. The Celestron Astromaster 114 EQ is one of those perfect, budget-friendly options. 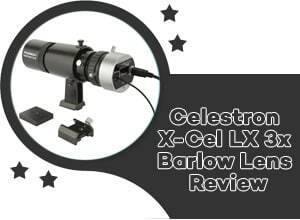 Read our extensive Celestron Astromaster 114 review to learn more about this telescope’s features, images, eyepieces, how to use it, and much more. 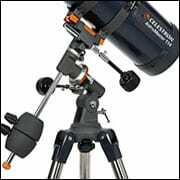 What Is the Celestron Astromaster 114 EQ Reflector Telescope? 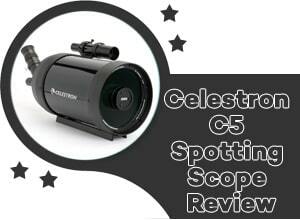 The affordability of the Celestron Astromaster 114 EQ is not the only feature that makes it stand out of the crowd. This telescope is incredibly simple to set up and use, even for beginners. The Celestron Astromaster is more complex than other entry level telescopes out there, but its additional features don’t reflect in the easy setup. Made out of steel and aluminum, this instrument weighs 17 pounds and measures 32.2 x 17 x 11 inches. It has a German Equatorial mount, a 100-150mm aperture, and a focal ratio of 8.77. 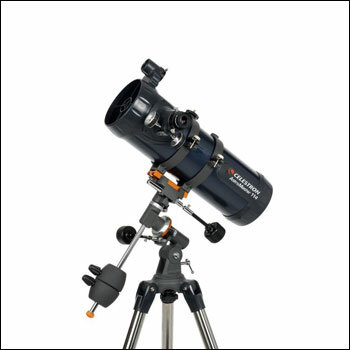 The Celestron Astromaster 114 EQ Reflector Telescope comes with a pre-assembled tripod that has 1.25-inch steel tube legs. This provides a stable platform for the telescope. 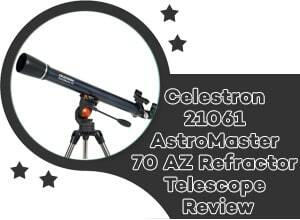 Celestron Astromaster 114 telescope reviews sing its praises, emphasizing how affordable and versatile it is. Though it may seem like a perfect piece of equipment, it doesn’t come without flaws. Many Celestron Astromaster 114 EQ reflector telescope users were glad to report that the instrument was very easy to assemble, even for novices. The telescope is very versatile, since it can be used both for astronomy and land. You can use the instrument to gaze at stars, as well as boats, birds, or animals that are very far away. 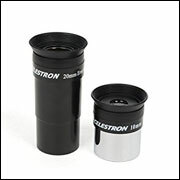 The Celestron Astromaster 114 EQ eyepieces are a huge bonus. The 20mm and the 10mm tools elevate it and set it apart from other entry-level telescopes. The sturdy tripod helps the Celestron Astromaster 114 EQ reflector telescope sit safely both on carpets and any type of ground. The retractable feature of the tripod makes it user-friendly and easy to pack for short road trips. A Celestron Astromaster 114 review particularly praised the straightforward software of the telescope, which helps users identify various stars and planets. The Celestron Astromaster 114 EQ displays outstanding brightness, even for distant objects that on other telescopes could appear faint and dark. This instrument provides you with everything you need to get started. Whether you’ve just discovered a new hobby, or you’re further developing your star gazing skills, it meets all the expectations. The Celestron Astromaster 114EQ reflector telescope images are crystal clear, without overwhelming beginners with new settings and information. Several users complained about the star finder feature not being up to par. Unless you have very steady hands, you might find using the Celestron 114EQ to be a little tricky at first. The slightest shift will make you have to refocus and find your target again. However, once you understand its features, you will easily find the perfect spot. While this beginner telescope allows users to attach a DSLR to the camera mount, it can be hard to achieve crisp photos without the tripod and a remote. Some customers have complained about the poor craftsmanship of this telescope. The parts that are made of plastic tend to be quite flimsy. The telescope can be bulky, so prepare to make a bit of an effort when carrying it around. Customers have reported a very rough declination adjustment. Counterbalancing the telescope can be a bit tricky. 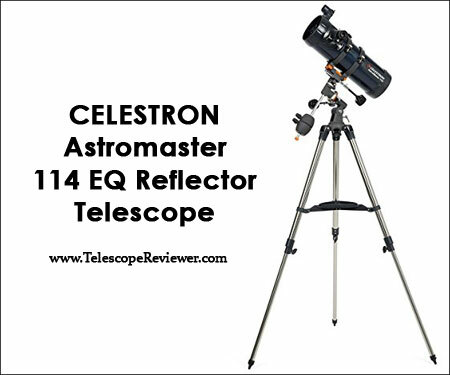 You can find the Celestron Astromaster 114 EQ Reflector Telescope for sale on most online retailer websites like Amazon. If you are lucky enough, you might even find the telescope at a discount, or including free shipping. The Astromaster telescope comes with two eyepieces: a 20mm one that offers 50x magnification, and a 10mm one that offers 100x magnification. These speak volumes about the telescope’s power, and the detailed views it can offer. The telescope’s 100-150mm aperture is also quite impressive. With the Celestron Astromaster 114 EQ telescope, you can study the surface of the Moon, as well as Jupiter’s moons and Saturn’s rings. The Celestron AstroMaster is appropriate for both celestial and terrestrial viewing, producing crystal-clear images of land and sky. Using the German Equatorial mount, you can focus on spectacular details of the planets. You can even take awesome photos of the planets if you want. A Celestron reflector telescope isn’t a high-maintenance instrument, but you want to make sure you do everything in your power to keep it in its best shape. After all, the image and photo quality can be affected by the way you look after this tool. Make it a habit to always keep the lens cap on your Astromaster 114 when you’re not using it. Dust can be more damaging than you think. 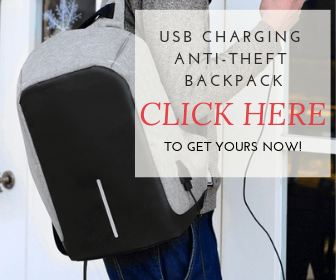 Sooner or later, it will start affecting your images, fogging up your photos. Avoid touching the lens or mirror’s surface. Also, store your telescope and lenses in a dry room, with the caps on, in a bag or a box. Only clean your instruments with a microfiber cloth to remove any dirt that could impair the telescope’s functionality. The Astromaster 114 EQ comes with a detailed instructional manual. In addition to the two eyepieces, customers also receive a handy tripod. You can easily expand your accessory kit by investing in other tools that will enable you to take breathtaking photos. Invest in eyepieces and diagonals if you’re after crisp images. However, use a camera adapter that will allow you to use your DSLR for capturing constellation pictures. 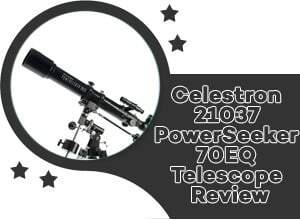 In addition, you can always pair this telescope with the Celestron Skyportal WiFi Module. If you want a warranty for your Astromaster telescope, and you’re planning on buying it on Amazon.com, you can request one on Amazon from customer service. Suitable for kids and beginners alike, the Astromaster 114 EQ reflector telescope impresses through its affordability and reliability. 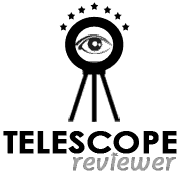 With 4/5 stars from 393 Amazon reviews, most customers were satisfied by what the Celestron 31042 Astromaster 114 EQ Reflector Telescope has to offer. While it allows inexperienced astronomy enthusiasts to take a peek at nebulas, star clusters, and other planets, this tool might not live up to the expectations of more seasoned users. The two included eyepieces are a valuable bonus, but the telescope does not come without its drawbacks. All in all, the Celestron Astromaster 114 EQ Reflector Telescope qualifies as one of the best entry level telescopes in its price range, with its pros easily outweighing its cons. If you’re looking for a dual-purpose telescope appropriate for both terrestrial and celestial viewing, then the Celestron Astromaster 114 EQ Reflector Telescope is for you. As you will see in the figures on the Celestron AstroMaster 114EQ Quick Setup Manual and the AstroMaster Series Telescopes INSTRUCTION MANUAL (page 14), you can find the on/off button next to the battery compartment. As for the 20mm and 10mm eyepieces, the 10mm is best suited for close up views of planets or the Moon, while the 20mm can be used for objects that are far away and quite large, such as nebulae and clusters.